When I saw the previews for The Last Man On Earth, I knew I had to check it out. Just the idea alone of being the last person on Earth is incredible thought provoking when you try to imagine what it would be like and what you could do. This is the idea behind the new show staring Will Forte. With so many shows these days recycling the same ideas and themes over an over again, it is nice to see a show stepping outside the box with an ambitious and interesting idea. Note: Spoilers for first 2 episodes ahead. The show takes place in the near future in a time when it seems all of mankind has vanished except for one man. He travels around looking for others but finds he is the only one left. In the first episode, it shows how he lives, the problems he deals with, and how he keeps himself entertained. He gets to do a lot of fun activities now that there are no rules and he can do pretty much anything he wants, but it is not all fun an games when he comes to the realization that there are no other people left. He gets to the point where he has just about had enough when he runs into another person! When I first heard he would not be the only one left on Earth, I was kind of disappointed, but in actuality, it does enhance the show. In the 2nd episode he find a woman (Kristen Schaal). They are surprised to see each other and relieved to find they are not the only one left, but soon realize they do not really get along very well. He is kind of rough around the edges and has no regard for rules anymore while she is still more civilized and insists on following the rules even if they do not really apply anymore. This makes for a very interesting dynamic as they begrudgingly begin to work together. Even though they do not get along, in the back of their mind, they know the future of mankind may depend on them! Overall the first 2 episodes were quite entertaining and I look forward to watching it next week to see what happens and how they progress in this world where they are the last man and woman on Earth! 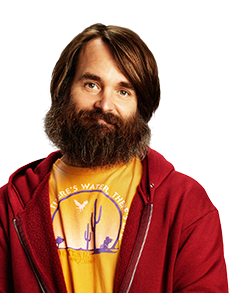 The Last Man On Earth airs Sunday nights at 9:30pm/8:30pm central on Fox. Update: Just finished watching the first season. Overall, the series started strong and had a lot of potential, but as the episodes went along and they continued to add more characters, I felt it kind of went down hill. They focused mostly on interactions between the characters, most of which were about jealousy and negativity. I would have liked if they focused more on the environment and the situation of being the last people on Earth. This is what made the first episodes fun. What are your thoughts on the first season?